Abstract: We describe a connection between two superficially disparate open problems: Hilbert's 12th problem in number theory and Zauner's conjecture in quantum mechanics and design theory. Hilbert asked for a theory giving explicit generators of the abelian Galois extensions of a number field; such an "explicit class field theory" is known only for the rational numbers and imaginary quadratic fields. Zauner conjectured that a configuration of d^2 pairwise equiangular complex lines exists in d-dimensional Hilbert space (and additionally that it may be chosen to satisfy certain symmetry properties); such configurations are known only in a finite set of dimensions d.
We prove a conditional result toward Zauner's conjecture, refining insights of Appleby, Flammia, McConnell, and Yard gleaned from the numerical data on complex equiangular lines. We prove that, if there exists a set of real units in a certain abelian extension of a real quadratic field (depending on d) satisfying certain congruence conditions and algebraic properties, a set of d^2 equiangular lines may be constructed, when d is an odd prime congruent to 2 modulo 3. We give an explicit analytic formula that we expect to yield such a set of units. 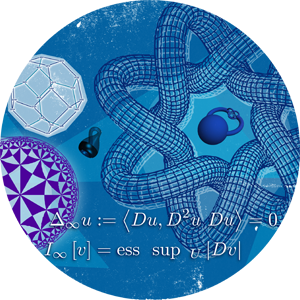 Our construction uses values of derivatives of zeta functions at s=0 and is closely connected to the Stark conjectures over real quadratic fields. We will work through the example d=5 in detail to help illustrate our results and conjectures.